This white cheddar powder is filled with a deliciously cheesy taste that is perfect for flavoring snack foods like pretzels, chips and popcorn. 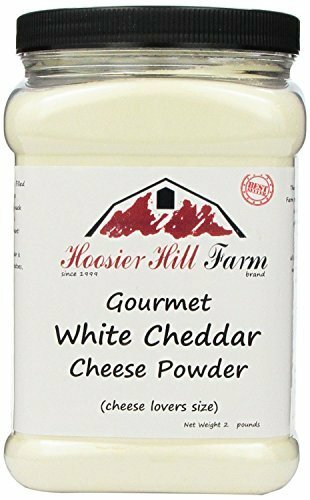 White Cheddar Cheese powder is also delicious with baked potatoes, pastas and salads. Perfect for sprinkling on popcorn, pretzels or any snack you want! Same as our regular white cheese powder - only 2x bigger! Hoosier Hill Farm Brand - your satisfaction is guaranteed. If you have any questions about this product by Hoosier Hill Farm, contact us by completing and submitting the form below. If you are looking for a specif part number, please include it with your message.